The idea of being able to settle in a relaxed, comfortable, friendly and safe space as we grow older is something most people can agree upon. With so many big changes to face as you or your loved ones enter your senior years, it helps to have a safe and reliable place to call home. But often, the home that you have invested your time has functionally become an unsafe place to live. 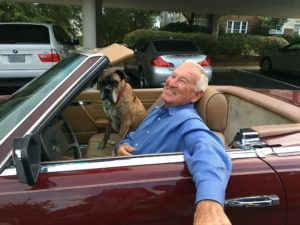 In fact, many seniors find that keeping up with home maintenance is one of the biggest reasons to downsize and move to a continuing care retirement community like The Cypress of Charlotte. In addition to the stress of continued upkeep in the family home, many seniors are interested in moving to a continuing care retirement community so that they can enjoy access to medical care services, activities, great amenities and dining services. Modern seniors have more options for care than they ever have before – which is wonderful! But sometimes finding the right retirement care plan that fits your health and lifestyle needs can be a confusing and time-consuming process. If you’ve already begun your search for an ideal senior living situation, you may be familiar with independent living communities, nursing homes and assisted living facilities. Each has a variety of pros and cons, depending on your specific needs. But for many, none of the familiar options make perfect sense. Luckily, a continuing care retirement community works by combining all of these residential and medical care options into one amazing place for seniors to call home. Continuing care retirement communities, or CCRCs, are an ideal retirement option for seniors who want to enjoy as close to a standard home setting as possible. As a form of independent living, most CCRCs incorporate some level of skilled nursing care, assisted living services and even memory care services on campus. While the amenities and medical services available at each CCRC will vary, you can expect to find some combination of these basic services available at any location that may interest you. Additionally, some CCRCs may offer a tiered program where residents can choose the amount and type of services they need and if changes need to be made over the long term, they can easily do so. What Are Some of the Benefits of Living in a Continuing Care Retirement Community? One of the biggest benefits that seniors can enjoy when moving to a CCRC is the option to live in a single-family home, condo or an apartment. Residents can choose to live independently, with access to medical services and other amenities, for as long as they want to. 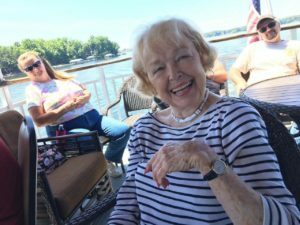 This lifestyle model easily creates a high level of independence for seniors and allows them to enjoy a better quality of life. And over time, as you age and need more help, it is available to you. As your needs change you have the option to move to a skilled nursing or assisted living area. With the ability to live in the same community as you settle into your golden years, you can remain comfortable with your surroundings, the available services and the people you meet along the way. You are better able to maintain a high quality of life as well, as you enjoy access to a wide variety of different amenities, social activities and health services. It also helps to reduce stress on yourself and your loved ones when you know that you don’t have to worry about moving from one location to the next while enjoying the same level of care. How Are Continuing Care Retirement Communities Different to Other Retirement Options? The biggest difference that seniors will find with CCRCs is the fact that we’re invested in helping you to live as independently as possible for as long as possible. At The Cypress of Charlotte, we understand that everyone has varying levels of care needs and we want to make sure that you can enjoy as much or as little help from us as you desire. We also understand that everyday tasks like cutting the grass, shopping for groceries and running to the pharmacy can become difficult as time goes on. We are happy to provide easy alternatives designed to increase your quality of life. Overall, the main thing that sets CCRCs apart from other retirement options for seniors is the fact that we offer customization services that are designed to fit your individual needs at every point in life. We work to ensure the best level of care possible in a relaxed, comfortable and safe environment. Are you interested in learning more about the many benefits of making the move to our continuing care retirement community? 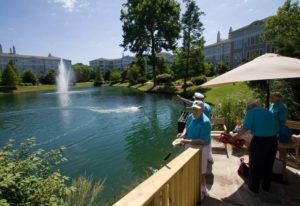 For more information on the services and amenities we provide or to schedule a tour, visit the team at The Cypress of Charlotte online today.